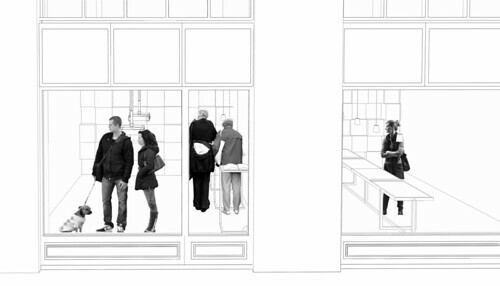 dpr barcelona dedicated a post about the Agglomeration of Empty Shops, one last semi-realized project by Antonas office. 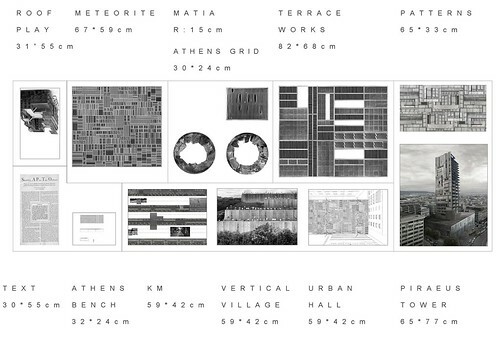 The project belongs to a system of works that are related to the athenian decline and to some answers to it. The concept of protocol is crucial in this collection of projects. The agglomeration of Empty Shops treats areas of the city center where a multitude of small shops is closed during the Greek financial disaster. The empty shops did not belong at a singular project in the past; they were situated in a linear system of athenian arcades. In the past, the proprietors or the renters decided the nature of the business that was placed at every spot. The agglomeration of the empty shops would programmatically include the (abandoned and empty now) small spaces into a single project. 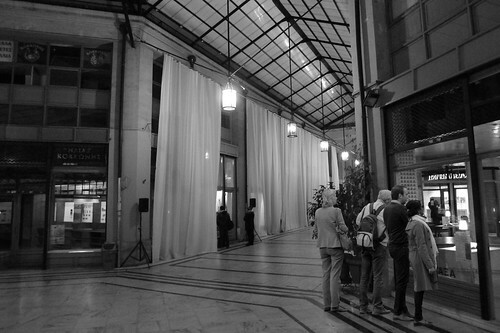 Even if the agglomeration does not offer a continuous experience, the project was undertaken with the ambition that the first impression of a random passage through the arcades would give the impression of a single decision operated in a number of rooms. The occupation of the empty shops would have to perform at a first level by a unifying logic. A space of an open ad hoc university or a system of discussion rooms or equipped rooms for temporary shows could transform this linear spaces to a multiple, different entity. At a second level what had to be secured was the mere multiplicity of this fragmentary space; it had to be again guaranteed as an important part of the intervention. A non-homogeneous functionality would be necessarily programmed in the complex project space. An unusual urban curating had to define the unified intervention, curate the unity of the intention, organize and colonize the empty space and, in the same move, keep the scale of the small shops. An accurate and complex programming would be here analogue to an idiosyncratic, public curatorial work where the functions of the spaces and their time sequences are decided. The functions that can occur in these empty shops follows the most flexible rationale; they can be used as possible places for many different, idiosyncratic, legal occupancies. They are not proposed for a specific program but as a question about program. The structure of the void is here elaborated out of the knowledge of simple furniture and out of their particular placing. The simple material shape structures the void and characterizes the architecture. The construction of a field of space receptacles or cases ("thekae" in Greek) that have not yet any specific meaning proposes a concrete way to formulate an abstract condition. The field of the space receptacles will receive some actions to be decided afterwards. Nevertheless, the receptacle already traces the structure of this program of reception. The form of the void condenses an architectonic way of thinking about space. It goes against Sullivan leit motiv “form follows function” by claiming ironically that form generates different functions. The architecture of void is conceived thus (for the needs of such a parallelism) as the mold which creates the conditions for a predetermined abstract possibility of the visitor’s movement and stasis. This interior promenade of the visitor would allow to different functions to take place. The constructed void organizes the awaiting character of the installation, directs the walk and prepares the behavior of the visitor. Architecture through such a point of view would form the idiosyncratic empty field that orients prepared abstract receptions of visitors according to its form. But this field is only the pentagram on which different functions would perform different sound results. 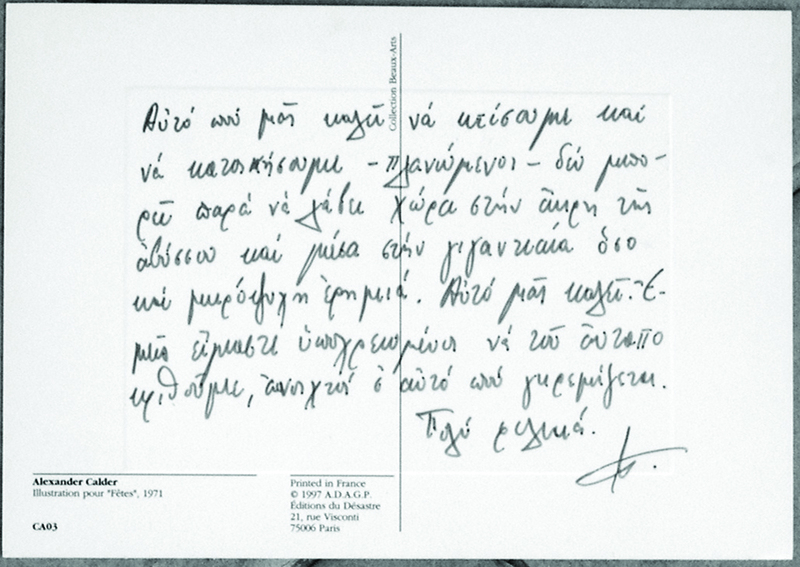 Kostas Axelos message to Aristide Antonas from the past: "Αυτό που μας καλεί να κτίσουμε και να κατοικήσουμε -πλανώμενοι- δεν μπορεί παρά να λάβει χώρα στην άκρη της αβύσσου και μέσα στην γιγαντιαία όσο και μικρόψυχη ερημιά. Αυτό μας καλεί. Εμείς είμαστε υποχρεωμένοι να του ανταποκριθούμε, ανοικτοί σ' αυτό που γκρεμίζεται. Πολύ φιλικά. Κώστας Αξελός"; "What calls us to build and dwell -as wonderers- cannot take place but on the brink of the abyss and in the gigantic and petty desert. This is what calls us. We are obliged to respond to it, open to what is collapsing. All best. Kostas Axelos". On Monday 27 May, bank holiday, the Athens Symposium organized by the Bartlett Masters Program of Urban Design, Centre for Research Architecture at Goldsmiths and Kingston University took place in London. Athens was examined as idiosyncratic urban phenomenon and as example of decline of the west in the same time; Maurizio Lazzarato, Pier Vittorio Aureli, Yannis Stavrakakis, Costas Douzinas, Yannis Aesopos, Aristide Antonas, Platon Issaias, Orsalia Dimitriou, Penelope Charalambidou, Ross Exo Adams and Adrian Lahoud, director of the Bartlett's Program, formed the group of the discussion pannels. I return to Pier Vittorio Aureli thoughts about asceticism and Hannes Meyer's Coop Zimmer which was the last image of his presentation in the Symposium; I think that this is a very intriguing image to conclude on an Athens investigation today. It condenses an impasse concerning the culture of the self today, related to an investigation concerning the room. The room, the self and withdrawal are the concepts that rule, in a different way, the public imagination today. At the same time I try to figure out how an investigation (which lead to such a personal room) and the concept of subjectivation to which Maurizio Lazzarato was refering to can be related to the specific condition of today in the West. It is difficult to reconstruct the great example of this room as a contemporary function; we do not see nostalgically the picture of Coop Zimmer as if it merely belongs to the past; it is not a question to return to what could be similar to it. The unity of time it proposes refers to a radically different past: to a different constitution of self. The room shows the very area where the structure of the self is distorted; it is not an area we can refer to easily. I believe that it introduces us to the culture of the "passing dweller", as Pier Vittorio Aureli suggests in his text in log, or the time of the short time renter. But there is still in the Coop Zimmer a strong emphasis on a stable space of withdrawal, a stable cell that we cannot easily prepare for the present condition. In a sense I am more disappointed than Pier Vittorio Aureli, believing that the self is a project of the past. This is at least the point in which I insist in my House for Doing Nothing, constructed as a comment to a fragment by Slavoj Zizek, where he also calls for a self isolation in order that we find some time to read and think; I understood Zizek’s fragment as a call for an ascetic attitude. This call does not take under consideration that the background where this withdrawal of the self will have to be performed is a place where the sole concept of withdrawal is always already inverted to a reference to a “public sphere”. First and foremost a private room is delivered now to what I tried to describe as a unified infrastructure. The exterior space (in the case of the House for doing Nothing) would be a material support, the unwanted part of a voluntary incarceration to the most frivolous self, to a self that would always already had lost the question about self. The House for doing Nothing was my comment on this impossibility of return to the self because of the situation where the self is found (or better is lost) while withdrawing to a growing layered infrastructure; this infrastructure in which the post web2 Internet plays an important role, tends to always promise more possible simultaneous alternative micro possibilities, renting short time durations to existing predetermined protocols. Renting the infrastructure will be the market's rationale for the future but this also affects the constitution of the world (conceived now as a system of multiple alternative representations) and the self which can also be understood as such response to given structures. In the same time the self is lost within the public sphere and presumed found in a self's intimacy. This structure of withdrawal to a public self (in which no one can ever be a subjectivated self) seems to organize the system of self (the self in front of the unified infrastructure) than the state: a public identity of the self in infrastructure would then be the most resisting power against subjectivation. The public sphere and the upcoming society constitute the self as a withdrawn entity but in different terms than asceticism; in this condition the self is not any more a possible target per se, because the layered infrastructure that would support any primordial concept of return to the self prepares finally the self as a banal social mapping. The self is not related to any real room, it would necessarily be constituted as a series of answering to questionaries. 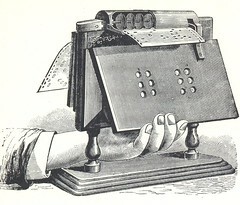 The self would be captured by a systematic and automatic deliverance to strict, preexisting protocols; we could argue that even in the past the culture of the self was an exceptional investigation concerning open questions, a difficult and rare work to be done, related necessarily to an ascetic attitude. But what if the creation of self has already found in a certain system such a banal protocol of preparation? I am more pessimist than Pier Vittorio Aureli. The next day of the global civilization will be performed without idealization of the self as was the case in the last western civilization we know. Joseph Grima (as curator) together with Ethel Baraona Pohl, Elian Stefa and Pelin Tan presented in the Greek Galata School (close to Istanbul Modern) a part of this year's Istanbul design biennial under the title Adhocracy; the show emphasized emblematically, in more than one way, the relationship between architectural practices and ad hoc strategies that prioritize informal, atypical productions of space. Some different categories of such ad hoc mechanisms are found in the show: the most extended number of examples included DIY-like objects done with recycled material, instruction manuals that could bring them to light, or objects done by following such instructions. 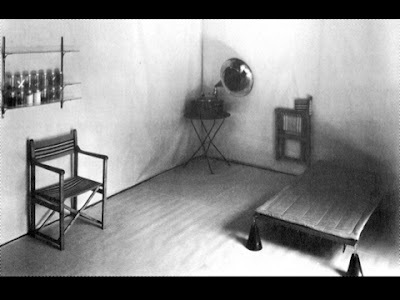 Enzo Mari's furniture were produced by following his instructions booklet produced during the 60s; two chairs a table and a bookshelf were constructed for Adhocracy out of Mari's Do It Yourself manual. 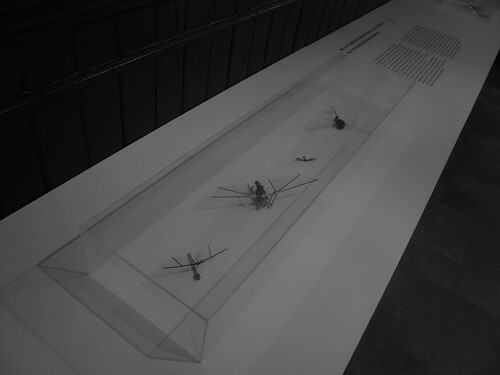 Marjetica Potrč constructed a series of micro air vehicles. 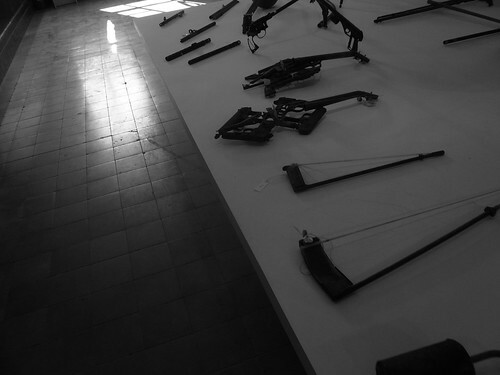 Pedro Reyes presented recycled system of mexican weapons that constituted in their new forms music instruments. A music performance with the instruments took also place. The Antonas office presented a series of reused inhabited old vehicles that also could form populations while hosting "communities"; the vehicles here are not always understood as mobile, their accumulation does not need intermediary or communal spaces. Archaeologies of found material and management of living (in a society that misses already the common structures of the past) are presented as the same procedure. After their first presentation by Ethel Baraona Pohl on dpr barcelona some important DIY sites reposted the material for their followers, considering the plans and sections as an open call for an idiosyncratic "vehicle bricolage". 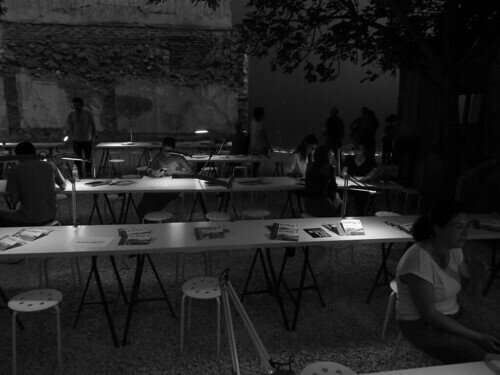 The concept of Urban Protocols was the one we discussed more with friends in Venice concerning the work of the office, part of it exposed in the greek pavilion. A long discussion with Teddy Cruz about it in and out of the frame of his talk with Eyal Weizman in Strelka's Venice discussions on shaping tomorrow’s cities. Athens and Medellín in different backgrounds show that the concept of protocol can be operational conceived in different ways. 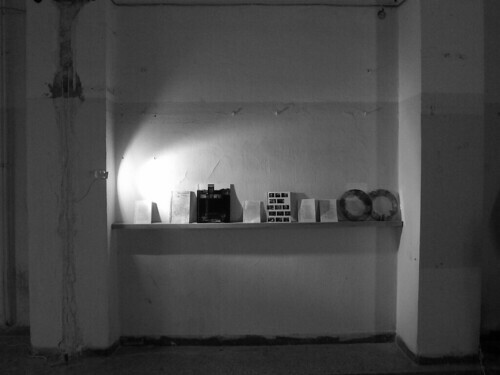 The preparation of a novel concerning the blurred distinction between the real city and a literary construction is shaped through an assemblage of printed material on a shelf, in the main venue of the Athens Biennale, Diplareios School, Plateia Theatrou. Collected images, texts, notes, images that refer to the novel and the text's first drafts form a collection of printed and bounded volumes and circular plexiglass prints, enriched week by week during the period of the biennial while the works for the novel were evolving; the presentation of the works for the novel is followed by some descriptions and remarks concerning the situation in Athens during the same period. Athens during this period occupies the interest of the financial world. The material collected for the new untitled text is divided into two categories, already defined by the novel's plot. The first category concerns a pragmatic reference to a real world and the second one concerns the construction of a non-pragmatic reference, created to be inhabited. 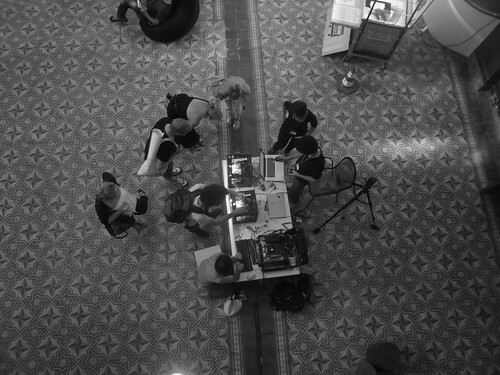 A material description of the situation in Athens and an orchestration of fictional data assembled in order to propose the virtual stage of the narration are juxtaposed. The work was presented during the period of negotiations about the eurozone measures concerning Greece, a period that was characterized by a repeated postponement of any decision concerning the regulation of Greece's debt. The assembled material included at the end of the show 4 versions of the text, a collection of photos of Athens during this time, a collection of photos from the rooms used and photographed by the writer while writing, photographs of notes, a series of articles from the digital press concerning the negotiations and the evolution of the Greek debt crisis during those months, images from the athenian riots from the TV and images created in order to represent a virtual island described in the novel. The versions of the literature text under preparation are printed in parallel to a description of Athens that the writer undertakes to do publicly during those days, published in a twitter account in Greek. The project was produced in collaboration with kernel for Word of Mouth. 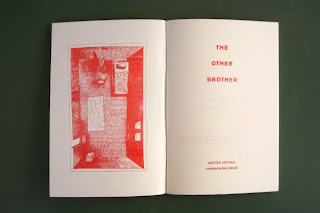 Jrp Ringier in Zurich published the short text The two rooms, that was proposed as a literary interpretation of the Kafka's story "Investigations of a dog", written in 1922 and published in 1931 after the author's death. In Kafka's story "the unnamed narrator, a dog, recounts a number of episodes from its past, in which it used quasi-scientific and rational methods to resolve basic questions of its existence that most of its peers were content to leave unanswered, such as: "Whence does the Earth procure its food?". Many of the seemingly absurd descriptions employed by the narrator express its misapprehension or confusion about the world, centering on dogkind's apparent inability to realize (or, some passages suggest, unwillingness to acknowledge) the existence of their human masters". The rational dog's thoughts and the impossibility to refuse their rational basis (even if the text shows the impasses they are driving to) relate this investigations to any vain, human effort to conclude about reality through thinking. 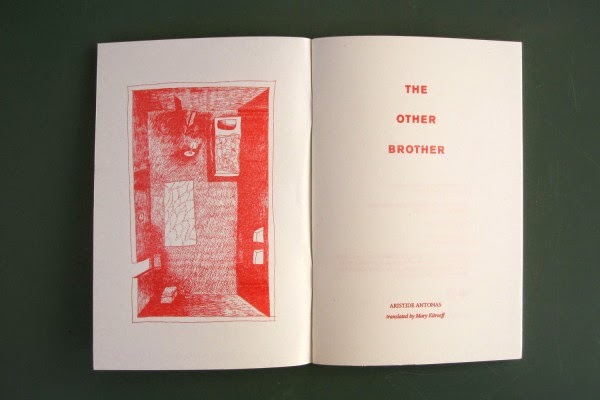 The "two rooms booklet" consists of a response to the Kafka's novel that insists at an oposite attitude of beings to keep doing things without investigation. Another most trivial aspect of animality is linked to the condition of tribe and its absurdities. The text is published in Greek. The same editor published the Atlas of Transformation. 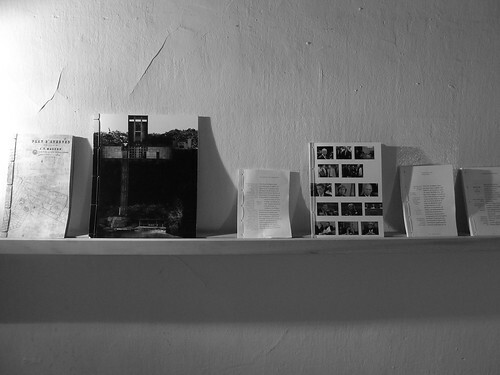 The thick book is a publication prepared by Tranzit Display, Prague for the project Monument to Transformation. It is a collection of entries that capture transformation in the recent european history. The book is proposed as a dictionary containing also art reproductions and sketches. The publication counts already two important design prizes: the one of Most Beautiful Swiss Books, Zurich 2011 and the Best Book Design from all over the World, Leipzig 2011. Its graphic design is signed by Adéla Svobodová. 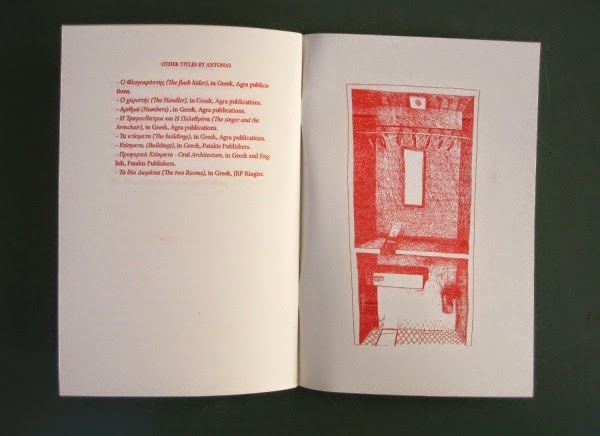 The volume contains entries by Adam Mazur, Adéla Gjuričová, Agela Detanico, Rafael Lain, Alexander Gerner, Alexander Kiossev, Alexei Penzin, Ana Janevski, Ana Paula Cohen, Anatolij Osmolovskij, Andrej Lankov, Aristide Antonas, Artem Magun, Ayreen Anastas, René Gabri, Babi Badalov, Beatriz Herraez ,Boris Buden, Boris Groys, Boris Ondreička, Cabello/Carceller, Cristián Gómez Moya, David Chioni Moore, David Kulhánek, Egon Bondy, Eileen Legaspi-Ramirez, Erick Beltrán, Ernest Gellner, Fang Hu, Fedor Blaščák, François Piron, Françoise Mayer, Franz Kafka, Frederic Jameson, Frederic Jameson, Georges Perec, Gilles Deleuze, Pierre-Félix Guattari, Haegue Yang, Hakim Bey, Homi K. Bhabha , Hrach Bayadyan, Chantal Mouffe, Igor Zabel, Ilja Kabakov, Jacques Rupnik, Jaime Iregui, Jens Kastner, Jeong Hwan Joe,Ji Yoon Moon, Jiří Havel, Jiří Přibáň, Jiří Suk, Joanna Erbel, Joaõ Maria Gusmaõ, Pedro Paiva, Joaquín Barriendos Rodríguez, Julia Moritz, Juliane Debeusscher, Karel Kosík, Karl Holmqvist, Karl Lydén, Kārlis Račevskis, Keiko Sei, Keti Chukhrov, Kostis Stafilakis, Lásló Csaba,Leszek Balcerowicz, Lia Perjovschi, Livia Pancu, Raluca Voinea, Magdalena Ziółkowska, Marcel Tomášek, Marco Scotini, Mariano García, Marina Gržinić, Martin Škabraha, Mikołaj Lewicki, Milan Otáhal, Milan Šimečka, Milan Zelený, Miroslav Petříček, Mladen Stilinović, Nataša Petrešin-Bachelez, Nerea Calvillo, Ninotchka Rosca, Pavel Barša, Primož Krašovec, Radim Marada, Raluca Voinea, Raqs Media Collective, Rastko Močnik, Ricardo Basbaum, Sergio Rubira, Slavoj Žižek, Srdjan Jovanović Weiss, Svetlana Boym, Teresa Riccardi,Timothy Garton Ash, Tomáš Pospiszyl, Tomislav Z. Longinović, Václav Bělohradský, Vangelis Vlahos,Vassilis Vamvakas, Viktor Misiano, Vlad Morariu. Yannis Stavrakakis, Yelena Vorobyeva,Viktor Vorobyev, Zbyněk Baladrán, Zdeněk Košek, Zdislav Šulc. The chief editors are Zbyněk Baladrán and Vít Havránek. The project direction was done by Věra Krejčová. Το Υπαίθριο Γραφείο οργανώνεται ως ανοικτός αστικός χώρος που υποδέχεται εργασίες στο διαδίκτυο. Προτείνει ένα πλαίσιο που παλινδρομεί ανάμεσα στην άρνηση του ειδικού, τοπικού στοιχείου (η οποία συνδέεται με τη σύγχρονη άυλη εργασία στο διαδίκτυο) και στην αντίστροφη έμφαση στο τοπικό στοιχείο, στον φωτισμό κάποιας ιδιαίτερης περιοχής που περισσεύει στο κέντρο μιας παρηκμασμένης πόλης: η ειδική τοπική σκηνή υποδέχεται το "άτοπο πρόγραμμα". Ο χώρος εξυπηρετεί όσους δεν έχουν σταθερή βάση για εργασία ή όσους ενδιαφέρει η ευκαιριακή, απρογραμμάτιστη ή ad hoc οργανωμένη συνάντηση για συνεργασίες. Το Υπαίθριο Γραφείο δοκιμάζει να υλοποιήσει (με επιτηδευμένη προχειρότητα) κάποια σκέψη για την σημερινή πόλη και ιδιαίτερα για την σημερινή Αθήνα. Η πρόταση συντάσσει φυγές προς διαφορετικούς ερευνητικούς άξονες. Κάποια σύλληψη για την πόλη προϋποτίθεται της εγκατάστασης. Κάποια επεξεργασία εννοιών όπως αυτή της άυλης εργασίας έχει εδώ την ιδιαίτερη σημασία της. Η σύγχρονη πόλη (πριν αρθρωθεί ακόμη η πρόταση) εννοείται εδώ ως ερείπιο. Η πόλη δεν εχει φτιαχτεί για την ζωή στη ιδιαίτερη σημερινή συνθήκη. Κάποια μετάθεση της σημασίας του σκηνικού που απέμεινε σε μας ως "Αθηναϊκή κατάσταση" προϋποτίθεται για οποιαδήποτε αστική παρέμβαση. Κάποια ανάγνωση και ερμηνεία μπορούν να μεταστρέφουν τους υφιστάμενους χώρους σε κάτι επερχόμενο. Η επιλογή ενός αθηναϊκού ακαλύπτου για την εισαγωγή κάποιου προγράμματος μπορεί να θυμίζει "αστική ανακύκλωση": ο υπάρχων έρημος, κενός χώρος ανασυντάσσεται ως κάτι άλλο. Το κενό του ακάλυπτου χώρου μεταστρέφεται σε ενεργό "πλήρες" την ίδια στιγμή που προεκτείνει τον δημόσιο χώρο. Η λειτουργία του εξασφαλίζεται με λίγες αλλά καθοριστικές εισαγωγές επίπλων. Η αρχιτεκτονική του συντάσσεται περισσότερο ως έρευνα για τις έννοιες του σύγχρονου αστικού απορρίμματος παρά ως αγάπη για τον σχεδιασμό. Η ρύθμιση των λειτουργιών μοιάζει σημαντικότερη από την προτεινόμενη "αρχιτεκτονική". Δεν υπάρχει πρόθεση αλλαγής της "εικόνας" του χρησιμοποιούμενου ακαλύπτου: κάποιος πλάγιος φωτισμός αλλάζει τη σημασία του χώρου, διατηρώντας την εικόνα του "ως έχει". Στην ίδια "σταθερή σκηνή" (για να θυμηθούμε την Αρχιτεκτονική της Πόλης του Aldo Rossi) παίζεται προσωρινά ένα άλλο έργο. Η πρόταση περισσότερο από την συγκεκριμένη υλοποίηση ενδιαφέρεται για θεσμίσεις της προσωρινότητας. Κάποιες ρυθμιστικές σκέψεις για τη σύμβαση και τον κανόνα λειτουργίας κάθε περιοχής μπορεί να καθορίζουν με ολοένα μεταβαλλόμενο τρόπο πολλά σημεία της πόλης. Το δίκτυο ξεχασμένων ακάλυπτων χώρων της Αθήνας προσφέρει ενεργές περιοχές ημιδημόσιων προεκτάσεων που μπορούν με προσοχή να περιλαμβάνονται στον αστικό προγραμματισμό της πόλης. Τι θα μπορούσε να φέρει ένα πρόγραμμα για προσωρινές διαχειρίσεις των ακαλύπτων στο κέντρο της Αθήνας: το Υπαίθριο Γραφείο λειτουργεί περισσότερο ως ερώτημα προς αυτή την κατευθυνση παρά ως συγκεκριμένη απάντηση. Χωρίς κόστος το είδος του φωτισμού ενός χώρου μπορεί να αλλάξει προσωρινά τη σημασία του. Η πρόταση χρησιμοποιεί ένα πλαίσιο (αυτό του Remap 3) και μια στρατηγική χορηγιών (αυτή του ΙΚΕΑ) για να διατυπώσει ερωτήματα σχετικά με τον αστικό ιστό της σημερινής Αθήνας και με τη χρεοκοπία της αρχιτεκτονικής που ξέραμε. Οι πρώτες σημειώσεις για την αυριανή αρχιτεκτονική περιλαμβάνουν κάποια πρακτική non design που ζητά τους όρους εγκατάστασης αστικών συμβάσεων σε υφιστάμενες σκηνές της πόλης. Σε αυτο το πλαίσιο το ζύγισμα ανάμεσα στο παλιό και το επερχόμενο έχει αποφασιστική σημασία. Η εγκατάσταση του Υπαίθριου Γραφείου περιλαμβάνει 48 τραπέζια, 100 σκαμπό, 48 λάμπες εργασίας, 9 μέτρα βιβλιοθηκών, έναν εκτυπωτή και έναν ψύκτη νερού. Στον αριθμό 2 της οδού Γιατράκου στο Μεταξουργείο, το Υπαίθριο Γραφείο στεγάζει το info point του Remap 3. Στον χώρο φιλοξενείται το βιβλιοπωλείο OMMU. “A critical analysis of the present global constellation- one which offers no clear solution, no "practical" advice on what to do, and provides no light at the end of the tunnel, since one is well aware that this light might belong to a train crashing towards us-usually meets with reproach: "Do you mean we should do nothing? Just sit and wait?" One should gather the courage to answer: "YES, precisely that!" There are situations when the only truly "practical" thing to do is to resist the temptation to engage immediately and to "wait and see" by means of a patient, critical analysis. Engagement seems to exert its pressure on us from all directions. In a well-known passage from his Existentialism and Humanism, Sartre deployed the dilemma of a young man in France in 1942, torn between the duty to help his lone, ill mother and the duty to enter the Resistance and fight the Germans; Sartre's point is, of course, that there is no a priori answer to this dilemma. The young man needs to make a decision grounded only in his own abyssal freedom and assume full responsibility for it. Nevertheless the character of the Žižek residence even if it is proposed as a place for withdrawal may finally refer to a permanent, voluntary isolation. The Slovenian thinker proposes some distance from the world (a strategy that would "resist the temptation to engage immediately", a proposal to “wait and see” and have the opportunity for "a patient, critical analysis" after the voluntary withdrawal); nevertheless the house shows that, in some cases, the option of stepping back in order to have a distance from society is already problematic from its nowadays setting. The house is of course proposed as a place of literal withdrawal: in the same time, (and I am formulating here already my answer to Léopold Lambert) nothing seems to promise that there is a possible return to the condition that the house declines. The negation of society that the house proposes is in the same time constructing a new community order. The condition of the Žižek's house creates, while it is introduced as a process of withdrawal, different layers of impossibilities to escape the new social platforms that have already moved into the house, (not only in this exotic residence but in many houses) some years ago. The particular manner of withdrawing the house proposes already organizes an intermediate state, structured in between the absolute private sphere and the public function that melt in the inhabitation of the Internet. If we understand seclusion as a step back to the private, then we may agree that what was normally understood as a step back strategy yesterday does not apply today: no way out of this area seems possible. The house is designed as a confinement place, chosen deliberately. Žižek supposes that a "wait and see" strategy may promise anew a political future. But does his opinion present a possible way to invest upon the role of thinking today? Can we save the process of thinking by investing again in the same concept that made it valuable in the western past? The world theory (θεωρία) in ancient Greek describes a way to understand reality from a distance, the way to contemplate things from while we are distant to them in a way that we cannot touch them. The theoretical aspect of reality is related to the possibility of viewing from a distance. This distance that is necessary for a theoretical thought seems difficult for the nowadays Žižek's "withdrawal hero". The way the humankind (in its global north version) relates to its present through the inhabitation of the "Internet living archive" needs an analysis that would invest to the affirmation of the impossibility of distance. It seems that what Žižek presents as the precondition for any serious political position describes also a structural impossibility for the place of withdrawal today to create a distant look. We request a distance from things, we schedule a house in order to obtain this result but this house only shows the impossibility of the scheduled distance. The meaning of "wait and see" strategies is -in this background- ambiguous. The cancelation comes together with the project. Does Žižek mean that after some "images of a changing world" are formed and after some "political thinking" is performed, we could be able to return to the world or at least judge about its problems, propose possible ways to treat the problems in a pensive way? Or does he suggest that this distance is a prerequisite for any intellectual operation? In both cases this house organizes the distance from things as an impossible construction, in many senses: its interior space is produced as an idiosyncratic impossibility of distance that rules any political question concerning the global north. The Žižek's house is a counter project in its "first" reading: it proposes the negation of Žižek's idea; the glorification of withdrawal in the post network society of the global north may propose a problematic task, not because such a strategy is necessarily wrong but because the possibility of creating a condition of withdrawal seems complex today. The attitude described by Žižek is not determined uniquely by the refusal of commitment to the community: there are many ways for doing nothing. We can retire to refuges in different ways. The withdrawal should not be seen as a political attitude per se but already in its political context. We recall three literary heroes of withdrawal. The first shows a different way to conceive “doing nothing”, in antithesis with the hero of Žižek. Jean Jacques Rousseau describes himself in his Rêveries du promeneur solitaire in a happy condition of isolation, in the almost deserted island of Saint Pierre that some call "l’île de la Motte". Rousseau locates a kind of happiness on his isolation days on the island. “Far niente”, the inactivity of this period is the biggest pleasure he experienced, present in all its sweetness. Devoted to inaction, he could not hold any communication or correspondence, and yet this period is described by Rousseau with great nostalgia. The inertia of his voluntary exile to a place where the author is hiding safely offer delight and a distance from community matters. 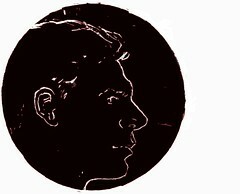 While the withdrawal is described as enjoyable, it cannot be associated with any technique of responsibility of a political philosopher. Rousseau does not expect the distance to help him recognize new common problems or investigate anew about politics. He lives on the island in order to avoid the community which is presented as a menace and he enjoys this pause of the community life as a happy, early death that makes the hero’s problems disappear. Žižek's hero is not a hero of the “far niente” neither is he negating the community. The second "withdrawal hero" would be Ivan Gkontsarov’s Oblomov, described in the novel that bears the hero’s name, published in 1850. Within the narrative we meet Ilia Illich Oblomov, a young nobleman, unable to take important decisions or undertake any significant actions. In the evolution of the novel he rarely leaves his room or bed: he stays in bed for the first hundred pages of the text. The book was considered as satirizing the noble class whose social and economic situation seemed problematic in the mid 19th century in Russia. Some laziness or inactivity, a reference to laziness was an important feature of the Oblomof’s withdrawal. And yet no laziness would characterize the Žižek’s "withdrawal hero" within the “living archive of the Internet”. The "pause for reflection" that forms Žižek’s hero has nothing to do neither with a hero of laziness nor with an emplematized hero who consciously refuses of work, as proposed, for example, by Paul Lafargues in his Right to Be Lazy. Labor today is structured differently than in the past. Labor through the Internet often diminishes the importance of spatial factors, it disturbs the oposition between working space and residence. As noted by Negri, labor tends to be determined by an immaterial condition. Franco Berardi also notes that labor is increasingly depending on cognitive functions. The immaterial labor of cognitive functions detaches the working man from the workplace. The work may occur indoors, within the space of withdrawal. The Žižek’s "withdrawal hero" in the present condition may be a normal working human. The third "withdrawal hero" is the Des Esseintes coming out of the novel À rebours (Against the Grain or Against Nature) of Joris-Karl Huysmans. Des Esseintes decides to retire and devote his life in rest and in intellectual and aesthetic pursuits. Des Esseintes is presented as an eccentric, reclusive aesthete and Antihero: he dislikes the bourgeois society of the 19th century and attempts to withdraw into the world of art and the work of his own creations. In the last lines of the novel Huysmans compare the hero's "return to human society to that of a nonbeliever trying to emrace religion". The community appears impossible after the withdrawal. The hero of the house for doing nothing meets necessarily with the community since his withdrawal is radically transformed from the setting of its rules. The hermit condition in the case of intellectuals to whom we turn our attention today is described through an impossible destination. Firstly, the Žižek’s hero cannot find a “correct” place "outside the community." We do not control even the meanings of such a concept today. Secondly the Ziek’s "withdrawal hero" cannot form the "external perception" as is required by hypothesis : he is defined by a lack of exteriority. Žižek's hero is the hero of impossible withdrawal because he lives in the area where the private became blurred with the public. Withdrawal is either an impossible task or a necessary condition for the creation of the nowadays community. Léopold asks about the ephemeral character of Žižek's house as a seclusive place: a possible return "back there" may be very impressive. Nevertheless I am very skeptical about the character of this glorious return. The most important factor, in the design of this house would be that (from a particular point of view) it shows a voluntary confinement place. Nothing seems wrong in the withdrawal it organizes since it is performed as a voluntary entrance into an invisible community. Between a person and the community there is no clear limit, if we consider a person as a user of platforms and the community as a function of answering to given protocols or rearranging archive entries. From this point of view a political thinking would have to consider a future of politics in the archive. The tower of Babel and the open dispersed agora / The system of interpreting a text today may take under consideration the conditions in which any interpretation is performed. We are used to meet people through texts, through tags, through invisible communities and we are also used to see people gathered around images. 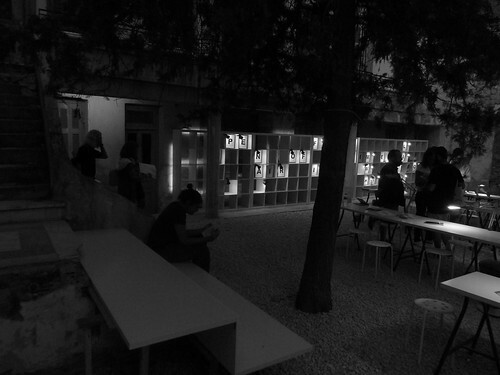 Discussion in this condition (as a possibility of any transaction between personal computers) forms an always open space; nevertheless, a discussion paradise of an open dispersed agora (that Ethel Baraona Pohl mentions in her post about the Žižek’s house) can also be described as a Babel tower of the common. None of those two different interpretations of the Žižek’s house architecture is privileged. We cannot argue that the Internet proposes a dispersed agora without adding that this agora is not exactly formed as a system of discussion but as a system that always already archives the discussion it generates, proposes its results as partial views, stores them over other similar, and finally makes them difficult to confront. Political decisions in this background can mainly be engagement strategies similar to the ones Žižek refuses in order to withdraw. The Internet discussions are by definition flexible left-overs like the one we are producing now together with Ethel and Leopold, using a foreign language that we all three cannot handle without difficulties. We cannot say neither that the Internet is a contemporary Babel, we cannot demonize it without adding that there are those characteristics of the Internet that can fix open platforms where everything can be posted, rarely in the form of discussion (as it happens now after we settled a chosen scenography). This negation to conclude about Internet, (to refuse to judge if it is a terrible thing and neither consider it represents the heaven of an open agora) is a prerequisite acceptance for reading the Žižek’s house project. Architecture in the condition of the Internet is not simply the creator of a "physical", "empirically experienced" environment; we would reduce the power of architecture if we only conceive it as a function of a "stable, existing" environment. Architecture today is a word to describe the complex systems that form backgrounds for human actions. Architecture would have then to be shaped as a coordination of both sides of the living areas: from one side the "empirical living of the real space" and from the other side, a living that investigates and perform in another interior space where we undertake actions through the web; specifically by answering to the web's different platforms. 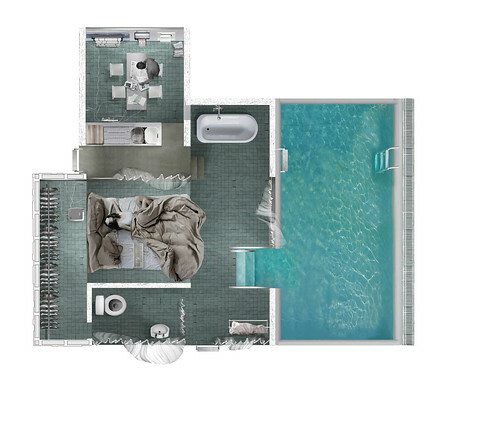 Does this design of Žižek’s house handle the totality of the matters, posed through such a wide investigation? It cannot. The design can only give form to a wide cockpit. It proposes the inhabitation of a cockpit with a particular relation to the materiality of a culture that understands the human body as a remain of a visual civilization. 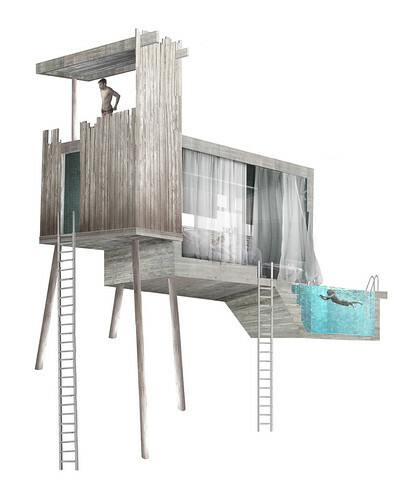 The uneasiness of such a relationship of space to the human body is also to be treated by the design of the house. Can we think about a cockpit as a place that has a reason "per se" to exist, without taking account of the destinations where it leads us? A cockpit is always a place that has prepared the conditions of a flight; what if this flight becomes the norm of the user? The cockpit becomes then a necessary condition of an unavoidable body, a space that treats the body functions as the excrement of the network activities. We only see in the house the remains of an intellectual life that is rendered invisible through a constant presence in the web. The Žižek’s house undertakes the role of interpreting a provocative fragment of an essay. It does so by unifying the two pieces of the user's experience, the life in the web and the life out of it. The house was always a space of a pause, installing a rupture in the time of the community. It represented an exit from the community. The Žižek’s house is no longer conceived as a space of a pause. The pause is not to be inhabited any more. The pause may be now an exit of the house, an exit of the net. The pause may be a necessary return to the old concept of the world. This would be the new exotic of tomorrow. Inhabiting the house is here identified to an idiosyncratic seclusion in the invisible communal space in which infrastructure, labor, entertainment, community networks and intellectual contemplations are melted in a unified sphere. The house is conceived as the mere ground of this sphere. It may sound normal that if we follow Žižek’s exhortation for "doing nothing" we may return home. Nevertheless today's homes for the humans living in the global north are not such places. If the "withdrawal hero" does not accept this kind of place as a secluded place for studying, what other possibilities could he have? If the Žižek’s house is replaced from a primitive cave or a unconnected spot, its resident will not be able to contemplate an important part of the society; in the same time the Žižek’s hero will be unable to judge about a changing society or perform any political investigation concerning it. Stepping back is not exactly the condition that negates the networks. It is the function that the network needs in order to be created. While the limit between the network and its outer space is problematic, the question of political intellectual awareness seems also changed. The system of interpreting today's "home culture" could include discussions founded on net communities, performed through particular platforms that in the same time take advantage of the role of images. (I read here critically Richard Sennett: I do not think that the new home culture is necessarily linked to a decline of the political. A new political may be born from the conditions of the Internet) The question would be if it would be productive for future discussions to propose built environments as this "house for doing nothing", entering with rush into fields that show quick realizations of hidden intentions. The Žižek's text can be elaborated in order to conclude into an architecture. This architecture is, from one point of view, evident, through the plans and the images that describe it, and from another point of view the same architecture cannot be anything without an internet discussion concerning it. Three users write each other about their everyday experiences while they look in this idealized seclusion place. What is exotic in this easy communication? From a certain point of view the present discussion shows that the citizens of the global north are always already in Žižek's house condition: they are defined by similar settings. Inaction/ This project undertakes to extend an investigation on inaction; the "raison d'etre" of Žižek's apartment is due to some nowadays modes of inaction. A cynical description of the city after the substitution of many of its functions through the Internet is a prerequisite for this investigation. The notion of political responsibility cannot be the same as before; a gap may interrupt its history. The changes in the concept of identity and its new definitions through the idea of "presence in the web" will determine this new phase of responsibility. If we understand the new possible cities as populations of secluded refuges that may look like congregations of well equipped, networked computer spots, we may need new descriptions of citizenship and of the communities that could replace the urban conditions of the past. The theoretical tradition of responsibility (as epitomized for instance in Levinas' or in late Derrida's works) gives an account of the preconceptions of philosophical thinking needed for the formalization of a political attitude within a community: an interesting part of this philosophical bibliography concerning "responsibility" was projected towards political theory. This theoretical past would need re-elaborations; remodeling the concept of responsibility and rejecting part of its tradition are related to the condition that the Žižek's house. 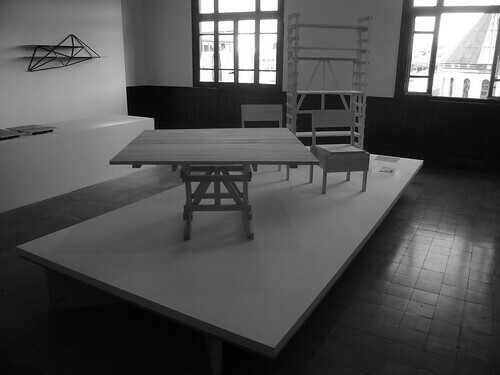 The "house for doing nothing", also proposed as "the responsible house", is published in order to formulate a complex question concerning an attitude that does concern mainly a response to "not real things", a particular engagement to "entries that describe absent things" without needing the reference to any "prototypes". How can we think about responsibility with a new broken concept of identity that does not correspond to the civic identity, with no signature charged for the responsibility of the evolution of things, with a poor world populated by things and a rich world determined by an accumulation of conscious representations. Difficulty to be patient and theorize / It is structurally difficult to ask for a "patient, critical analysis" of the situation we live in nowadays for three reasons at least. From a first point of view: the wind of global social changes poses practical problems regarding this need of deceleration; in a battlefield, in an open procedure of undetermined fights there is usually no time to install thoughtful distances from facts, especially in the case that rapid changes occur; we do not have the luxury for the necessary step back that could permit any intellectual preparation of thoughtful actions. This first argument is of course similar to the banal proposition that Žižek tries to avoid. Nevertheless let's consider that this position has a right to exist today: it is difficult to avoid the urgency of the evolving situations by a mere negation of them; we have a good example here in Greece. From a second point of view the imposed distance is formed through an idiosyncratic image of the exterior space that tends to be identified to an interior: a series of platforms can represent the exterior space, before it is posed as a problem of representation. The exterior space was conceived as a problem of representation. Today, exteriority is formed as a series of different representations. The networked civilization forms individuals who cannot really get out there, they are not supposed to question unformed fields; in this sense the users of the Žižek's house cannot reach any possible exteriority. They experience a phenomenon similar to the Plato's Cave of his Republic but seen now as an inversion: the cave has no exterior space. The most radical exteriority today is produced as a construction of the "unseen": some archived schemata, some digital landscapes soon visitable through the Internet form its matter. The distance from reality seems to produce the conscious, common and permanent core of the experience of reality "per se". Reality in this condition seems to be an always consciously distant, already represented world. From a third point of view a "patient, critical analysis" of the situation we live in nowadays conditions would also be difficult because we would need a concrete place with the characteristics that Žižek needs in order to construct the political attitude of a thinker. The neutrality of a house of yesterday is not possible in our residences today. Maybe space lose its privilege of hosting political action within this condition; political actions may not happen any more in the world we traditionally form as architects. But where would then be this political observation place? Where would be this society we cannot configure? If a political attitude has to be formed through the elaboration of a distant view, the lack of distinction between distance and proximity could pose structural problems to its performance. At least this would mean that when we design the house for the "withdrawal hero", we do not consider his political action performed in the correct place; such a place does not exist; we will not expect to see his action deployed there nor in any other "pragmatic environment"; it may be performed elsewhere; we can neither configure the observation point from which the task of observing may be practiced; we neither see the exact target of such an observation. If thinking can still address political matters, it is at least rendered problematic in the condition of withdrawal: it cannot happen if the structure of it includes the confusion between figure and background, between the user and the community; or it may happen in a different format taking account of this other type of inhabitation of "the common" we experience. Thinking cannot be performed in a field of predetermined schemata. Thinking is read for Žižek as an abstention from the "real society" even if "the society itself" lost its meaning in various ways through the last decades. A consciousness concerning the loss of "society structures" is the most intimate core for the fabric of the Internet society "itself". A barbarism may prevail in the first possible future of a multiple, thoughtless "platform making". "Exteriority" is its first important loss. "Exteriority" in this background can only be proposed through the image of a battle field or in terms of a video game. Thinking loses its meaning whilst there is no image or visible narrative proved valuable as a representation for it in this new condition. Thinking as a nowadays human act has no convincing imagery, no slogan, its future depends to inventive graphic strategies. The civilization of writing in the form that we know it may be in "another last phase". What this loss of meaning for thinking would inaugurate? Why do we miss already the rational elaboration of western sociality so quickly and anew, after some centuries that a society of organized rationality was a western civilization target? We may propose answers to this difficult question before we undertake judgments concerning theory and action. What would be the meaning of theory today? What would be a theory without truth? If the concept of "inhabited platform" may be the analog of a city apartment, and if a congregation of platforms may already form invisible cities where every one is already leaving, who is really the actor of these new environment? Who is the actor of this house for doing nothing? The hero of the Žižek's house would be a time function, inhabiting different platforms. The actor is not a simple user but a serial, multiple "person" constructed out of an accumulation of participations in different Internet platforms. "Heterotopias are most often linked to slices in time - which is to say that they open onto what might be termed, for the sake of symmetry, heterochronies. The heterotopia begins to function at full capacity when men arrive at a sort of absolute break with their traditional time. This situation shows us that the cemetery is indeed a highly heterotopic place since, for the individual, the cemetery begins with this strange heterochrony, the loss of life, and with this quasi-eternity in which her permanent lot is dissolution and disappearance". Heterotopia cannot be defined as a simple banality of the everyday. It marks a cut to the everyday, we need a time gap to enter its world. And this is the problem that is presented through the Žižek's house. It proposes a negation of the everyday but it fails to constitute it. The negation of the everyday itself forms the everyday. The house intends to mark a difference from the everyday, to form an exterior world, but no, it cannot: it brings its inhabitant again in a banal world where the setting it proposes is known; everything is included in an interior; the exterior of the house is an interior homely function. In this place we have nothing to escape from. In the world the house proposes we are already used into escaping in "its own" manner. We may confess that some of us already live in the condition of escape as if there was a homely character in "escape itself". We inhabit escape. This house that is proposed as an exotic seclusion place is very common. The community of today is structured as an accumulation of such seclusions in the culture of the global North. The exotic land of elsewhere is identified with the most intimate center of the house. The Žižek's house, in this perspective, cannot be a heterotopia; maybe this is the most important problem it shows. It is formed as is a tauto-topia, a permanent symptom for any locus in the global north; a symptom that identifies the social with a number of secluded inhabitations. The social here is symptomatic, it is ruled by the withdrawal that Žižek poses as a precondition for a personal critical return to a social thinking. The house forms a heterotopic field but it is not proposed as such. What is important in this house is that a particular heterochrony is now installed in the core of the constitution of everyday life. We read again Foucault when he insists on this heterotopic character of the garden: "The garden is the smallest parcel of the world and then it is the totality of the world". Couldn't this be proposed for Žižek's house? The house gathers some major heterotopic charasteristics. Yes, but in the same time the house claims that the nowadays global north society is constituted by an internal distance to itself. An uncanny generalization concerns this idealized exodus place: the house creates a simple image for the permanent condition that rules the everyday character of life; it proposes (while it is presented as an example of exception) a total narration for the everyday. Žižek's house is not as exotic as it should be; driving oneself out of the society is not a heroic operation; the seclusion that follows the negation of the community seems to be now the fundamental cell of the common; the house fails to provide the step back to the "withdrawal hero", because it represents in the same time the move toward seclusion and the openness to the community. In the same time its inhabitant would never be secluded, could never withdraw from the social even if this was the reason why the "withdrawal hero"'s refuge would be built. The inhabtant of this house is always already in the condition of community, experiencing nevertheless, in the same time, a permanent withdrawal. Considering the civilization of the global north, Žižek's "withdrawal hero" could be the most common person of the everyday life: withdrawal is the cell whose multiplication creates nowadays communities. If this is the presupposition of a political thinking (a distance from the social) and if today's sociality is defined by this distance then we will miss the opportunity to think because of a architectonic problem. This condition that is constructed as a house of thought, is structurally an observatory that cannot observe the field it is supposed to contemplate from a distance. The inhabitation of the distance is Žižek's house most critical characteristic. If we inhabit the distance from the social, if this inhabitation characterizes today's online sociality, we would be trapped in an interior with no limits. An interior with no limits has obviously no way out, no exit. Sociality in this case may be a big ensemble with single rooms of secluded people. If the seclusion place coincides to the idea of a permanent exoticism we may miss an observation point, necessary for any exterior contemplation of things and we may miss theory. This house would have to be proposed as an exit room. It could be a heterotopia if it was a real place of escape as Žižek wanted it to be. But it is designed to form a question. Is it so? It engenders escape, keeps escape as its permanent program. But in the same time this escape would have to be permanent and therefore it may structurally be identified to its opposite, the enclosure in a place where it is impossible to escape from an "escape program". The world "escape" has a global north nowadays meaning. Escape can propose no exotic options any more. Seclusion, in this case, proposes neither a solitary attitude. The isolated house is not excepted from the community. Nevertheless, a city apartment was normally conceived as a part of a whole; the city was a system of congregated, categorized apartments: the apartment was the particular part that corresponded and represented the individual's position in the city and a sharing strategy of a finite land. Geometry is crucial for a city because it is introduced in order to count the surface of the land and calculate the different systems of sharing that give birth to different city planning strategies. The city was composed as an analogy to an archive, concerning this exact reference to a finite landscape: the city inhabitant's role was related to this particular belonging that was related to the apartment's status. The responsible house seems to be formed by a negation to this "city sharing" condition. Its prototype is not produced out of sharing an existing finite land but out of an image of a house in an "exotic" infinite landscape similar to the video game interfaces we encounter in the Internet. There is no finite surface to share determining this project: the land it is proposed for could be any land. In an Internet city the sharing options for the space seem based to a possibility of infinitely extending the available field: the online and offline space that "we" will occupy in the future would be a space that can never be "itself" and will always be infinite, composed as an interior: at the same time it will always be a conscious representation of something always already missing. Σε ένα δοκίμιο του Charles Fried αναφέρεται ότι το ψέμα είναι σαν μια υπόσχεση (ότι θα πω αλήθεια) που αθετείται ευθύς αμέσως (δεν λέω τελικά την αλήθεια). [Αναφέρεται στο δοκίμιο του Κωσταντίνου Παπαγεωργίου: "μερικές Αλήθειες για το Ψέμα", Ισοπολιτεία, 1, Δεκ. 1997.] Αντιστρόφως προς αυτή την ρήση ενδιαφέρει περισσότερο σήμερα κάποια υπόσχεση για ψέμα που τείνει να διαμορφώνει το κοινοτικό φαντασιακό και την πολιτική συνείδηση. Η επικράτηση θεωριών που αναφέρονται στην αποδόμηση ή σε συναφείς της πρακτικές που ονομάστηκαν στην αμερικη μετα-δομικές έχει λίγη ίσως σχέση με κάποια πρακτική συνειδητής παράκαμψης της συνάφειας των θεωριών προς τα γεγονότα ή ακόμη με την επίσης συνήθη πρακτική της πολιτικής ψευδολογίας που περιγράφει και ονομάζει τα φαινόμενα από δηλώσεις σχετικές με αυτά ή ακόμη με πρωτοβουλίες που υπακούν σε τέτοιες αμφισβητούμενες περιγραφές ή δηλώσεις. Ο πόλεμος του Ιράκ ή η κατάσταση στο Αφγανιστάν ή ακόμη η συνθήκη αποδοχής της πρόσφατης λαϊκής εξέγερσης στην Αίγυπτο υπακούν σε αποφασιστικές δηλώσεις σχετικές με τα φαινόμενα οι οποίες μπορούν να οργανωθούν ως πόλεμοι ή ως συνθήκες ειρήνης αναλόγως προς την ιδιαίτερη περιγραφή που παράγεται κατά την ανάλυση των φαινομένων. Λόγω της φθοράς που υπέστη τον τελευταίο καιρό η έννοια της αλήθειας, μοιάζει να χρειαζόμαστε κάποια άλλη λέξη που θα συντηρήσει την ηθική θεώρηση των φαινομένων. Θα έπρεπε δηλαδή να επιχειρήσουμε να σκεφτούμε τρόπους για την ηθική αξιολόγηση που να προκύπτουν από κάποια υπόσχεση ψέματος: είμαστε πολύ περισσότερο κοντά σε αυτή την υπόσχεση, μέσα στην διαχείρηση οποιουδήποτε κοινοτικού λόγου, παρά μέσα στην αντίθετη: η επιδίωξη ενός αληθινού λόγου δημιουργεί μονάχα κενά προτάγματα. Είναι η περισσότερο ύποπτη στρατηγική ακόμη κι όταν επιχειρείται να διατυπωθεί από θιγμένες, μη ηγεμονικές μειοψηφίες που έχουν με προφανή τρόπο αδικηθεί. Η σημασία της καταστροφής του αληθούς λόγου δεν έχει ακόμη αποτιμηθεί συστηματικά. Η συνθήκη "έκφρασης της αλήθειας" μοιάζει να οδηγεί ευθύς σε παράδοση στην αφέλεια και οπωσδήποτε σχετίζεται με απώλεια της εξουσίας του ομιλούντος απέναντι σε εκείνον προς τον οποίο απευθύνεται. Αν υπήρχε ακόμη ένα ίχνος δυναμικής της έννοιας της αλήθειας θα έπρεπε να την αναζητήσουμε στην ιδιότυπη τροπή που λαμβάνει ο λόγος όταν παραιτείται από κάθε εξουσιαστικό μηχανισμό. Όταν αναζητά γκρεμισμένος κάποια διαφυγή από σημαντικές απορίες χωρίς να εγκαθιστά στη θέση των αποριών οποιεσδήποτε βεβαιότητες. Ο λόγος έχει χάσει τα σύμβολα της επάρκειάς του αλλά δεν καταφέραμε ακόμη να εκμεταλλευτούμε πολιτικά την ίδια τη δυναμική της ανεπάρκειας. Ακόμη και σε αυτή την περίπτωση, όπου η αλήθεια ονομάζει κάποια παραίτηση, η ίδια έννοια της αλήθειας ισοδυναμεί με κάποια άρνηση πειθούς παρά με κάποια επιβλητική δύναμη πειθούς που θα συνδεόταν πάλι αναγκαστικά με κάποια εξουσία της ορθότητας. Περισσότερο η έννοια της αληθειας σχετίζεται πια με την εθελούσια παραίτηση από οποιαδήποτε διεκδίκηση εξουσίας και αυτό καθιστά την αλήθεια δύσχρηστη. Η καταστροφή της αλήθειας συμπίπτει με μερικές άλλες κατασκευές οι οποίες θα εξεταστούν παράλληλα με την αλήθεια και την περιπέτειά της προσεκτικά. Η πρώτη κατασκευή είναι η συντριβή του εγώ μέσα στα κοινοτικά δίκτυα. Η δεύτερη κατασκευή αφορά τη συνθήκη της προσωρινής πίστης που -με κάποια ασταθή επάρκεια- είναι παρά ταύτα ικανή να συγκροτεί φαινόμενα. 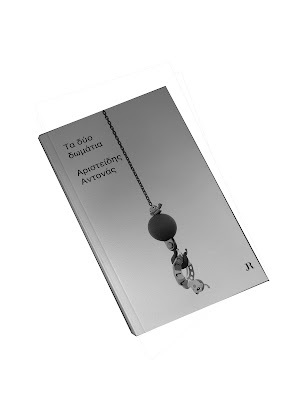 Σε κάποια πρόσφατη ομιλία του στην Αθήνα ο Alain Badiou μίλησε με ανανεωμένο ενθουσιασμό για κάποια έννοια ηρωισμού σήμερα. Μίλησε για τον ήρωα σε μια σημερινή διάστασή του. Ένα ναρκισσιστικό μοντέλο αυτοεπιβεβαίωσης και απόδειξης της σημασίας ενός επίπεδου ρόλου είναι ό,τι πιο ενδιαφέρον βρίσκω σε αυτή την δήλωση. Ο ήρωας σήμερα είναι η λέξη για ό,τι πιο τετριμένο και αδιάφορο. Είναι ένα ακόμη δυναμικό άβαταρ που δεν έχει τη δύναμη της επερώτησης μόνον και μόνον επειδή του παραχωρήθηκε μέσα στον τρόπο του επερχόμενου πολιτισμού ο ειδικός αυτό ρόλος: ένας ήρωας δεν μπορεί να ακουστεί ούτε να πείσει. Είναι ένα ακίνητο σύμβολο που δεν μπορεί να κάνει άλλη χρήση του λόγου παρά μόνον μέσω δηλώσεων. Η δήλωση είναι η δύναμη του ήρωα. Η δήλωση είναι το τέλος του λόγου ως μηχανισμού συνεννόησης. Μέσα σε κάποια κοινότητα που συγκροτείται με αρχαϊκές λογικές, μέσα στο ολοένα ενδυναμούμενο Διαδίκτυο ο ρόλος του προσώπου σχετίζεται με την δημιουργία μιας καρικατούρας με περιορισμένη δυναμική λογικής συνεννόησης. Όσο εργάζεται κανείς, με την χρήση λέξεων-κλειδιών ή με την επιμονή σε ολοένα συχνότερα επανεμφανιζόμενα και ενδυναμούμενα επιχειρήματα κλισέ, στην συγκρότηση τέτοιας καρικατούρας του ήρωα, τόσο περισσότερο μπορεί να κατασκευάζει την εικόνα της παρουσίας του σαν να ήταν εκεί μονάχα μια μεγάλη ψεύτικη μάσκα ή ένα κατασκεύασμα character παρόμοιο με εκείνα που γεμίζουν το ζωντανό αρχείο του διαδικτύου. Ο ήρωας σήμερα μοιάζει να αποτελεί ένα ακόμη avatar ενός κακοφτιαγμένων μηχανισμών που παράγονται σε ετοιμασμένες πλατφόρμες. Ο ήρωας είναι πρόσωπο που οργανώνεται καθώς χαρακτηρίζεται πολλές φορές με "like", μένοντας κενός όσον αφορά το περιεχόμενο της σημασίας όσων διατείνεται. Η συνθήκη της προσωρινής πίστης που μπορεί να συγκροτεί πραγματικά φαινόμενα είναι η συνθήκη της ακυρωμένης εσωτερική ρηχή πίστη στην οποία γυμνάστηκε το πνεύμα των ανθρώπων κατά το πέρασμα από την πολιτική των πράξεων στην πολιτική των δηλώσεων. Η πολιτική των δηλώσεων είναι εκείνη που παρεμβαίνει κατασκευαστικά επί του κόσμου των φαινομένων με την προοπτική της ηθελημένης παραποίησης που αποκρύπτει την βούληση. Την συγκρατεί μια αποθήκη ψευδολογιών, ένα συντακτικό μετωνομασίας των συνθηκών της διαφοράς σε συνθήκες άνευρης ησυχίας. Τίποτε δεν είναι περισσότερο σύνηθες σε κυβερνήσεις ή πρακτικές της σημερινής πολιτικής σκηνής από την εξάσκηση σε αυτή τη μετωνομασία. Η ρηχή προσωρινή πίστη συνιστά την κατασκευή αυτή της πολυετούς πια εμπειρίας του σημερινού ανθρώπου μέσα στον τρέχοντα λόγο. Ο λόγος έγινε πολιτικός λόγος και ο πολιτικός λόγος εφθάρη τόσον ώστε να χαθεί κάθε εμπιστοσύνη στον λόγο. Η συνθήκη της ρηχής πίστης μπορεί να προξενήσει βία χωρίς έλεγχο της σημασίας της, καθώς λείπει στην προσωρινότητά της η συνθήκη ελέγχου της λογικής πρότασης με την οποία ήταν οπλισμένος ο εκλείψας πολιτισμός του ανθρωπισμού. Αλλά μπορεί κανείς να σκεφτεί ξανά για το περιεχόμενο όσων φανταζόμαστε στις δομές εγρήγορσης του λόγου; Σιγουρα όχι, αν σκέφτεται κανείς με τους όρους της συγκρότησης του ιερού λόγου που άρχισε με την εκτύπωση της Βίβλου και συνέχισε με την δυναμική του βιβλίου. Αν το βιβλίο χάνεται, χάνεται επίσης μαζί του και η δυναμική υποστήριξης της πίστης για τα γραφόμενα. Η έννοια της προσωπικής ευθύνης για τον λόγο που εκφέρει κανείς εξανεμίζεται ή τουλάχιστον "αλλοιώνεται ολοένα" κατά τον τρόπο που αναλογεί στην προσφορά μηνυμάτων που θα στέλνει κάποιος σε μπουκάλι, πετώντας τα στον ωκεανό. Ο ομιλών, εκείνος που εκφέρει τον λόγο δεν αναλαμβάνει πια τον ρόλο χειριστή του αυθεντικού λόγου, δεν ζητά πια πίστη στο δικό του προσωπικό όραμα: αν το κάνει αυτό συμβαίνει γιατί πρέπει να μας διασκεδάσει με κάτι ακόμη που πρέπει να μην είναι αδιάφορο. Στην καλύτερη περίπτωση δοκιμάζει έναν χειρισμό μέσα σέ ένα λογικό σχήμα. Ο λόγος δεν καλείται να επεξηγήσει τα φαινόμενα ή να δοκιμάσει τα όριά τους. Ο λόγος όλο και περισσότερο οργανώνεται σε πολύπλευρες αφηγηματικές τροπές που κατατεμαχίζουν τα φαινόμενα με τον τρόπο των τραγουδιών. Το φαινόμενο είναι ένα σύστημα τραγουδιών που περιγράφουν με άκαμπτο τρόπο συστηματικές αποσπασματικές περιγραφές του. Σε μια ερωτική ιστορία χωρισμού μπορούμε να περιγράψουμε το συμβάν μέσα από ένα πολλαπλό σύστημα με την εξής έννοια: θα έχουμε ένα τραγούδι που θα μιλά με τη φωνή του απατημένου εραστή, ένα άλλο για την φωνή της ερωτευμένης γυναίκας, ένα τρίτο για το σπίτι που καταστρέφεται, ένα άλλο για το δωμάτιο του κρυφού έρωτα: όλα τραγουδούν το ίδιο φαινόμενο αλλά ο τόνος τους υιοθετείται από την απόφαση δέσμευσης σε μια προοπτική. Κάθε τραγούδι γεμίζει με πίστη στην προοπτική αλλά το αρχείο των τραγουδιών μένει υποχρεωτικά χωρίς πίστη. Κάποιο είδος ρεπουμπλικανισμού των φαινομένων είναι επί το έργον. Τα φαινόμενα παράγονται ως σύστημα πληθυσμού αποσπασματικών περιγραφών που δεν καταργούν η μια την άλλη αλλά "συμπληρώνουν" κάποια "σφαιρική" αντίληψη. Dezeen published an architectonic description of the Meteorite Unit. Α simple inversion was the first quest that inaugurated this project. The reversal had an urban value. What would happen if the typical block of Athens would turn inside out through a decision that necessarily concerns a minor part of it, one small propriety? The challenge was to convince that even on a such small scale building we could think about the reversal in an urban level. Increasingly one has less reasons to go out onto balconies in Athens. We find less reasons to have street windows in the buildings. Street balconies are prescribed by building regulations with great accuracy but they do not represent any more any particular option of use in this city. In the Meteorite Unit the reversal strategy concerns the front and rear of the building. It is performed in an emblematic way including a change in the position of the windows. 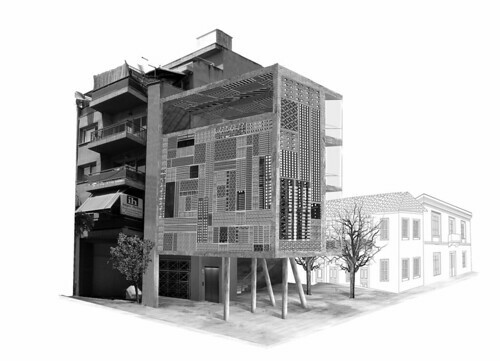 A building skin elaborated with reused metallic grids is proposed to the street, while the openings of the building are found in a new interior space. 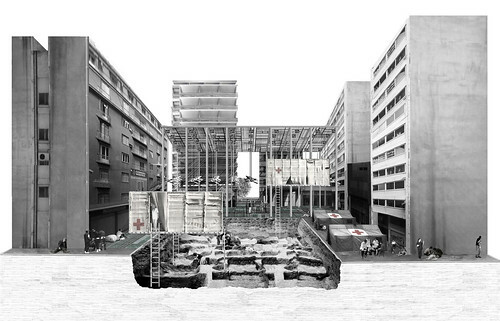 An urban plateau is proposed for the city, created out of the private space of the site. The focus of the building was shifted to the interior of the urban fabric and the decisions about the building mold the urban fabric. The theatrical scene is a jewelry shop in Greece where a robbery is operated. The actors enter covered; they are conscious that they are filmed. This kind of acting in front of the CCTV cameras directs a particular choreography where the actors have to hide whatever may be characteristic in their moves and appearance. The theatrical rules concerning the two actors are here different than the ones we find in Bertold Brecht's or Constantin Sergeyevich Stanislavski's theories on theater acting. The actor here has to be invisible through his capacity to operate quickly and with the most common moves. The actor has to avoid anything that would characterize him as the hero of an act or as a function of his self. The Urban Hall is a double project. It includes the architecture for a square of Athens in Plateia Theatrou and also the architecture of an immaterial platform that includes or determines a series of predefined actions that alternate in this same urban spot. Architecture in this project may thus be, from the first point of view, the institution of an empty place. 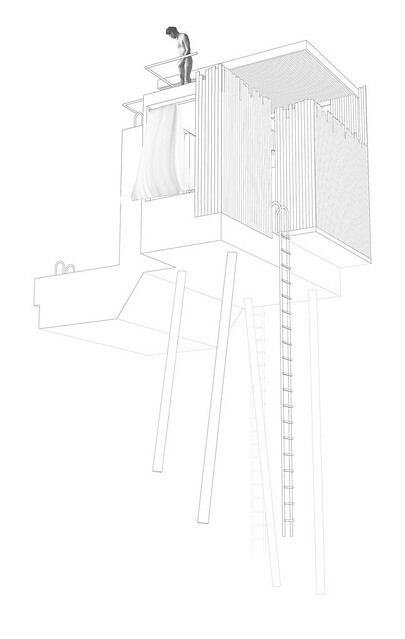 From the second point of view the most important architectonic move would shape the frame that would allow the performance of some urban acts. A system of changing functions would characterize this space and the most interesting political question will then be: how this idiosyncratic urban curating could be realized. The design only makes easier a possible stay in the area through the grid surface of the roof and a fan field that covers the lightly shadowed square. This particular urban instrument, proposing predefined situations, is the name of a question: the question about the common in this particular "always before bankruptcy" post network era. A first possible situation that is related to the condition of the area today and particularly the condition of the drug addicts would have to do with some alternative projects of hospitality, with alternative centers for drug addicts. This proposal could include different perspectives over the use of drugs or even expand a health care strategy creating for example an open city hospital. Such a decision would have to oscillate between a realistic interpretation of a problem and an understanding of art today: in this particular example one could think about a call to artists to act in the frame of this problem. A curatorial strategy would possibly include the installation of related artistic works from artists who would possibly reinterpret some of their work in a city level such as George Hadjimichalis or elaborate tactics that would perform other type of art works through different art practices, asking from artists to pose small scale social agendas and treat the city conditions as the necessary frame for possible art pieces. A system of small urban interventions can be introduced in the city as a concession of public space for such subtile work. The question about the curator of such a mechanism is the most important one in this proposal. Nevertheless the staging of the platform is elaborated here as a call to recognize a part of the city as an instrument that could perform different functions. The definition of an empty space would not give to the city an extension of its normal urban fields but would create a condition of an Urban interior in order to provoke predetermined, theatrically conceived events. Neighboring areas that can soon be included in this zone of prepared actions, using performativity in order to work towards the clarification of a political agenda in a practical manner. In her post about the project Ethel Baraona Pohl insists on the idea of creative activism that can be the core of the Urban Hall's management. She refers to the book Did Someone say Participate? co-edited by Markus Miessen and Shumon Basar. "Markus Miessen pointed in the book [ ... ] that in a time when city centers become increasingly polarised and drawn towards seclusion, the communication between people and states in particular needs to be revitalized, since one of the positive side-effects of globalisation is the realisation that today’s most pressing problems seem to exist regardless of place and location. This point is closely related with one of the conditions that can validate this project today as a particular function of a different era". It is important to be conscious about the common character of the global problems. On another level Athens poses its own platform of proposing its problems. And it may be interesting to make a representation of Athens as a violent meeting place of two different mechanisms: the first one could be the anarchic, vivid, unrepresented, always changing system of immigrants that inhabit a part of the empty city center; the second mechanism would be the legal frame that define an individual in the EU, unable to manage this massive wave of immigration, at least in the center of modern Athens. Athens is this idiosyncratic function of a city where an unpredictable meeting of an unrepresented population of immigrants and the frame of the European citizenship is performed. 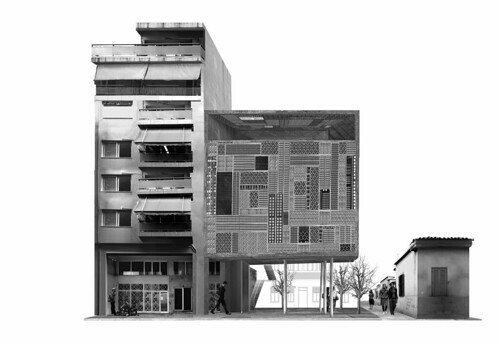 The Urban Hall is not a building but an Urban Instrument that could organize new city functions. The view of all these things (the beds, the rooms, the finds, the projects, the gaze monuments, the texts) constitute an interior perspective of a person: we can understand what a person would be if we consider some of these entries as collections of pieces that form a constructed scenery: the scenery space that is formed by them is used for the mise en scene of an avatar's life. This "person structure" is operated through traveling through those spaces and through those constructed views of the things. The person would then be an absent point of view towards a tagged material. Press the tag with the indication "LEMMA" or any tag to have different views of the person; a lemma announces a category of experience and already suggests a concept of time, divided by conceptual schemata. The blog intends to describe, in several different layers, the person as a function of tags. The return to the same motifs organizes not only the exterior conception of the person but also the interior construction of it.